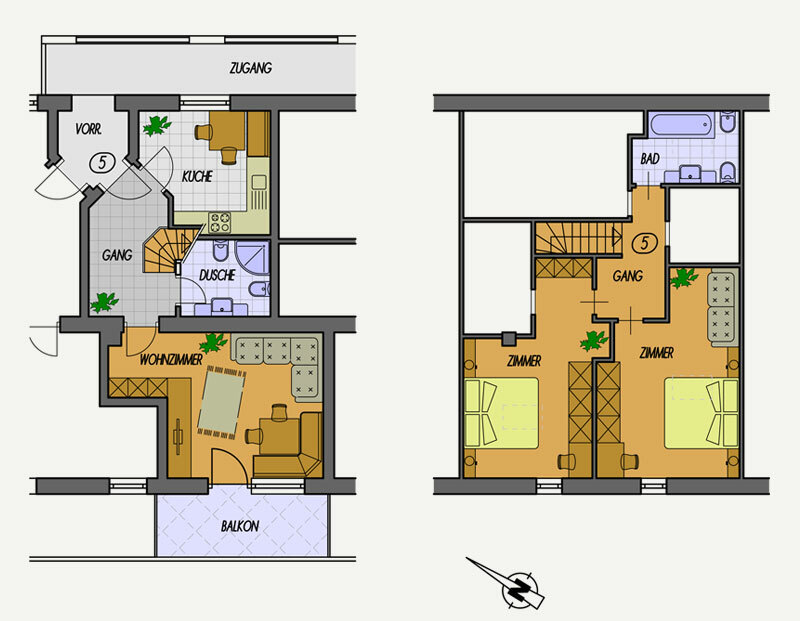 Apartment type B is divided into two floors that are connected by internal stairs and provides 87 qm for 4 to 6 people. 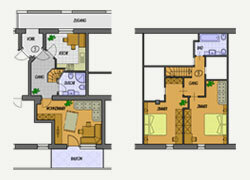 The Apartment offers two separated bedrooms, two bathrooms with shower/wc, bidet and hair dryer. The spacious living room is equipped with a comfortable sofa, a seating unit, a Sat-Tv, Wifi Internet connection and safe. From the south-facing balcony you enjoy a fantastic view of the Sciliar area. The kitchen is fully equipped with dishwasher, kettle, toaster, coffee machine and dishes. 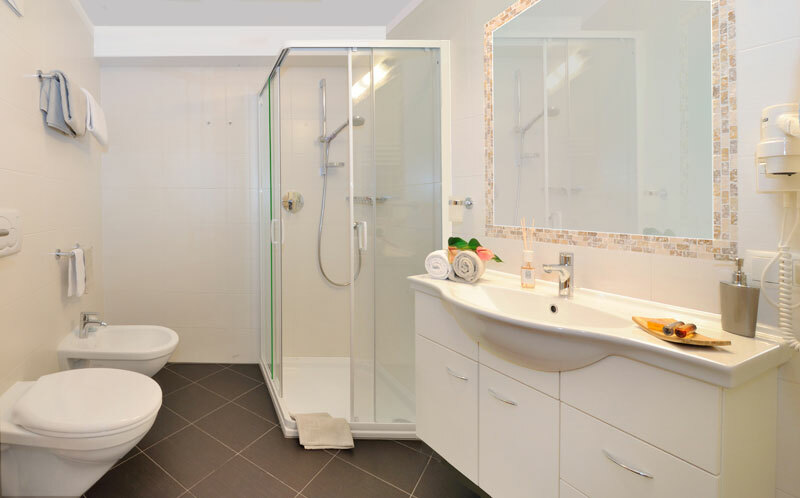 Bath and kitchen towels will be at your disposal at the Residence Kristiania.